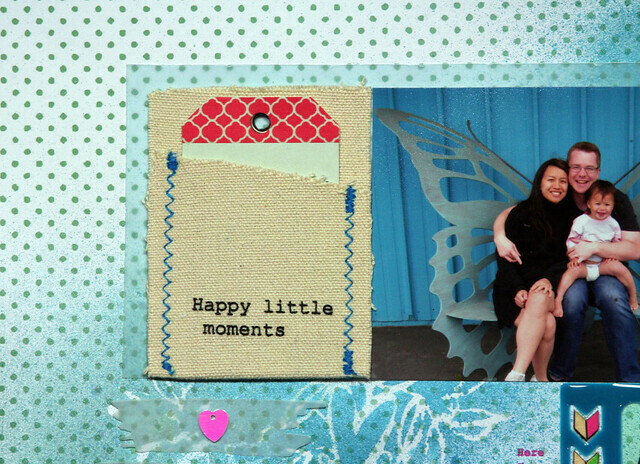 If it weren't for my scrapbooking, I think it's very likely that I would not print out very many of the digital pictures that we take. Yes, a big part of the scrapbooking for me is about crafting, but at the end of the day, there is something tangible to show for it that I enjoy looking at, and I hope our kids will too. As it is, I know Evie really likes looking at pictures on our phones and computers. This picture of me, Greg, and Evie isn't of any special event, but we were on vacation in the Bay area, visiting Greg's aunt. 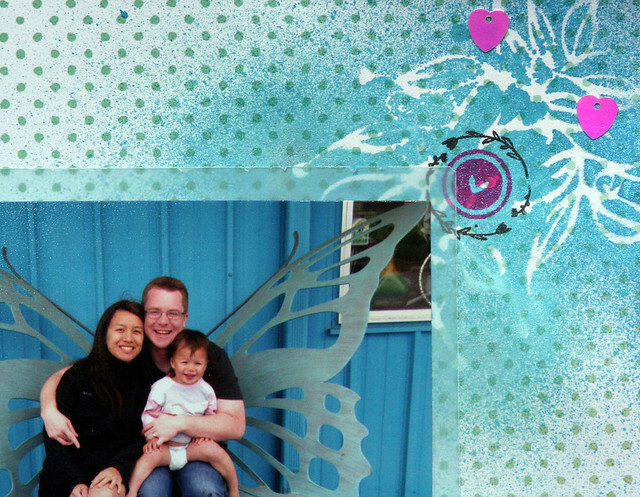 One of the places we visited while there was Annieglass, and in front of it there was this butterfly bench that we thought was unique, so we took a family picture on it. 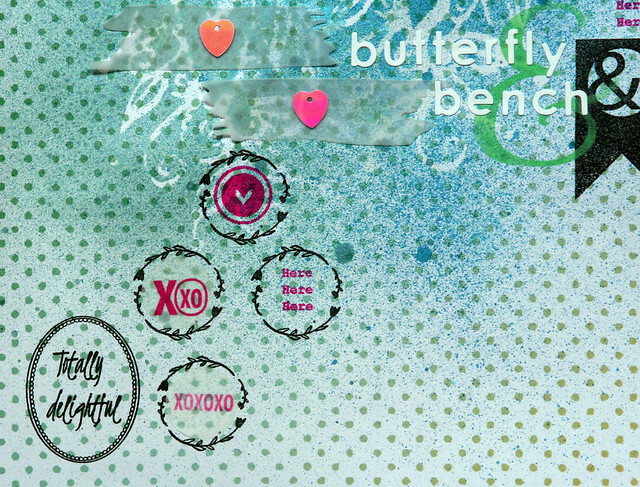 Given the blue building and butterfly bench, I stuck with blue as the main color, though I added in pink and green accents. 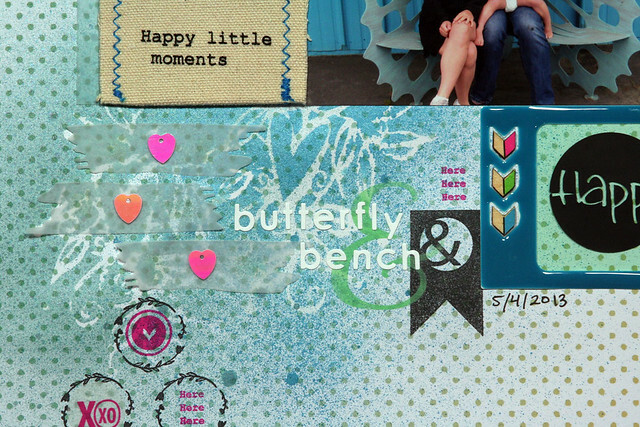 I used the Pinkfresh Studio/Wilna Furstenberg stencil several times on the patterned paper with a couple different shades of blue Glimmer Mist. I debated, but ultimately opted not to spray the back of the stencil with something like Easy-Tack before I used Glimmer Mist on it. Next time around, I might try the Easy-Tack on the back to see if I get a cleaner image from the stencil when using it with spray inks.